In July 2012, Barrack Obama catered to the “99% on his campaign trail” – knowing full well elections are no longer about progress (let alone, “hope” or “change”) but which candidate promises the most entitlements. Two years later, with the nation in vastly worse shape both economically and financially, Hillary Clinton is doing the same, rehashing Obama’s “you didn’t build that” quote by saying, “don’t let anybody tell you it’s corporations and businesses that create jobs”; like Obama, suggesting big government is the foundation of America’s “success.” Frankly, it’s difficult to decide whether to scream with rage or cry with sorrow at just how far our great nation has fallen. Government no longer governs but controls our lives – whilst our top politicians are no longer wise businesspeople but simple “heirs.” Who’s next after Hillary? Jeb Bush? Chelsea Clinton? Ronnie Reagan? Amy Carter? As the Fed meets to decide how to propagandize tomorrow’s FOMC statement, there are simply too many “horrible headlines” to keep track of. The world has become a very dangerous and scary place with countless political, economic, and social bonfires burning simultaneously – in our view, catalyzed first and foremost by the inflation created by four-plus decades of history’s most destructive Ponzi scheme. Look no further than the raging blaze of serial currency collapses – which we deem the “single most bullish precious metal factor imaginable”; which sadly, the brainwashed MSM not only ignores but doesn’t understand. 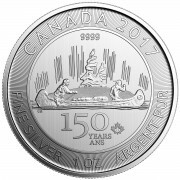 As I write, countless currencies sit at or near multi-year lows – like the Russian Ruble, Indonesian Rupiah, South African Rand and Brazilian Real; yielding dramatic cost pressures for hundreds of millions of people, whilst Western propagandists spew lies regarding the “deflation” that not only does not exist, but cannot in a fiat currency regime. In the latter case, Brazilian stocks are crashing as rapidly as the Real, as this week’s Presidential election cast further doubt on the nation’s tenuous future. However, politics are immaterial when contrasted with the humanity behind them. And in Brazil’s case, this horrifying article about the drought we have highlighted all year depicts a nation on the verge of catastrophic tragedy – as its largest city, Sao Paolo, may have less than a month of fresh water left. If the drought doesn’t abate soon, not only will global sugar, soybean, coffee and beef prices continue to surge, but countless thousands of Brazilian lives could be lost. And since this story is horrifying enough, we won’t even update you on the equally terrifying prospects for California’s economy and population if its own historic drought doesn’t shortly abate. Again, despite historic manipulation, TPTB cannot prevent “Economic Mother Nature” from baring her claws. Ultimately, her wrath will be fully felt – and as they say, “hell hath no fury like a woman scorned.” Currently, her presence could not be more obvious in said currency markets nor crude oil, as it continues to flirt with $80/bbl; and of course, Western bond markets – where plunging rates attest to the “most damning proof yet of QE failure.” She still hasn’t been able to overcome the naked shorting of paper gold and silver, as well as the surreptitious dishoarding of the vast majority of physical reserves in the name of maintaining a destructive, distorting, inequality engendering status quo. But don’t worry, all good things to those who wait. 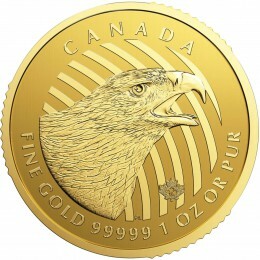 And reading of how a single hedge fund – Red Kite, who I actually had dealings with in my prior life in the mining business – has cornered up to 90% of the London copper market; much less, gold and silver forward rates again turning negative, we could not be more confident that the two-decade suppression of precious metals is nearing its inglorious end. And when it does, this “Achilles Heel of the financial world” may well be the catalyst to blow it sky high. In the run-up to tomorrow’s supposedly “historic” FOMC decision to end QE – at least, overtly – we have NEVER seen such blatant market manipulation. Remember, the Fed’s objectives have NOTHING to do the economy; but instead, saying what it takes to support financial markets (and “adjunct” markets like real estate) – and doing the same, even if its deeds are diametrically opposed to its words. To wit, it was just two weeks ago when markets were plunging in front of the key “propaganda events” of this week’s FOMC meeting and next week’s elections. And thus, the Fed resorted to a chaotic combination of “manipulation, jawboning, and prayer.” This week, with markets “stabilized” they have simply stepped up the manipulation and thrown in several “rumors” – like increased ECB QE – to fan the flames, enabling the Fed as much leeway as it needs. Bad economic data plus strong markets is their best possible scenario – as it allows them to be uber-dovish in a non-crisis environment. And voila, look at what they’ve created! In the past three days, we have seen horrifying across-the-board economic misses – starting with Friday’s “all-time biggest lie” when August’s New Home Sales data was revised massively downward; to yesterday’s decline in the PMI service index; to today’s massive “unexpected” durable goods order plunge and fourth straight “unexpected” decline in the Case-Shiller national home price index. The fact that Washington’s book cookers published the highest “consumer confidence” report since October 2007 (based solely on “expectations”) only proves TPTB’s propaganda tactics are running on fumes – as at this point, it’s becoming laughable to believe recovery is even possible, especially when the entire world is openly in recession. And thus, all that remains in the TPTB’s “arsenal” of deceit is money printing – which ultimately, must catalyze hyperinflation – and exponentially increased market manipulation. To wit, take a look at the past two days’ “trading action”; utilizing the same exact tried-and-true algorithms we have described for years – whilst commodities, currencies and even European stocks plunged. And no, this is not an illusion – they actually represent data from two different days; featuring the eighth straight “Dow Jones Propaganda Average” dead ringer algorithm; PM attacks at the 10:00 AM EST “key attack time #1”; and requisite DLITG or “Don’t Let it Turn Green” algorithms for the remainder of both days. BTW, today is no different – as following a third straight “2:15 AM” EST attack, PMs have been driven down by prototypical “Cartel Herald” algorithms at 10:00 AM EST when the global physical markets close – whilst stocks again surge higher, despite not only the aforementioned durable goods and home price data but yet another plunge in a bellwether stock – Twitter; which for once, I agree with a “top Saudi cleric’s” assessment as being the “source of all evil.” Well, maybe not all evil; but certainly, the dumbing down of Western society – including those that listened to Jim Cramer’s September prediction that Twitter, GoPro, Tesla and Netflix will be “irresistible” stocks through year-end. And since that prediction? Twitter is down 17%, GoPro 20%, Tesla 18% and Netflix 21% – whilst the NASDAQ composite index is…drum roll please…unchanged. Gee, I wonder why CNBC’s ratings are at an all-time low. And speaking of CNBC, here’s the perfect lead-in to today’s primary topic; the laughable “end of QE” that it and other cheerleading MSM outlets have been spinning. Steve Liesman, CNBC’s “Chief Economist” demonstrated a “consensus” timeline forecasting the Fed’s first rate hike in June 2015 (nine months from now, despite being seven years into a “recovery”); its first balance sheet reduction in October 2015; and a “terminal Fed Funds rate” of 3.3% or barely half the historical average in December 2017. Wow, that’s quite a precise chronology – incorporating the Fed’s ambiguous “considerable time” language, world-class economic forecasting abilities, and “just right” conclusion of an interest rate “higher” than today, but just low enough to not destroy history’s largest debt edifice – or so they hope. I’m sure the “consensus” inflation forecast is 2.0% as well, mirroring the Fed’s expectation exactly. Hence, the historically unparalleled game of money printing, market manipulation and propaganda that started April 11th, 2013, when Obama had a “closed-door” meeting with the top ten “TBTF” bank CEOs. A day later, gold and silver were violently attacked, and two weeks later, rates surged from record low levels as the amorphous “tapering” campaign commenced. Since then, all objective measures of U.S. and international economic activity have dramatically declined, currency and commodity markets have crashed, social unrest has exploded, and of course, precious metal prices have been pushed below their respective costs of production. Conversely, stock prices have surged to record levels – at least, the handful within the major indices the PPT supports; whilst interest rates remain at or near record lows. In other words, whilst the global economy has crashed and burned, the “1%” holding stocks and bonds in the nations with the most advanced “manipulation operatives” have grown significantly richer. And of course, those who appropriately protected themselves with precious metals have been punished – particularly those that speculated in “Paper PM Investments” like mining stocks, ETFs and closed-end funds. Of course, all conversations lead back to “Economic Mother Nature” – who in time always wins. The Fed will probably end overt QE3 tomorrow; but make no mistake, covert QE goes on indefinitely, depending on the day’s needs. Trust me, when you see the Dow’s “dead ringer” pattern continuing at 10:00 AM EST each day – despite the supposed “end” of QE “POMO” operations – you’ll know exactly what we mean. And more importantly, the “end” of QE3 doesn’t mean the end of overt QE; but simply, QE3. In other words, QEs 4, 5 and infinity are just around the corner waiting for their catalyst. And when they do inevitably arrive – as the “countdown to the Yellen reversal” continues, if you don’t have your gold and silver already, you may never get the chance; certainly not at prices even remotely close to today’s historically suppressed levels. We know there is virtually no gold stockpiled by U.s. What about silver? All gone. 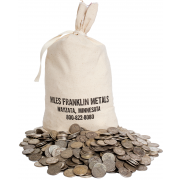 We once had five billion ounces, but it’s ALL been used up by industry and silver coin minting. Just a crazy thought (for a crazy world), but is it conceiveable that the US is both selling and buying PM’s, and absorbing the (relatively) small loss to keep the prices under control, and keep a decent stock in our vaults for ‘insurance’. What’s a few hundred billion dollars in losses if it saves the entire system? YESSSS! That’s what I’ve been saying all along. The Fed are LIARS. They say what markets want to hear, and do what it takes to make markets move as they want. The whole concept of adhering to their statements has become flat out comical. Somehow I had the impression that the US was draining its vaults of PM’s to keep the prices low so that the fiat money would not blow up. So if the US is also buying back (albeit at a loss) the PM’s it is ‘selling’, our stockpiles may not be depleting, and could even be growing. If this is the case, the US could potentially come out of a reset in as good, or better, a position as before. With unlimited $ printing, we could be amassing more G&S than anyone else, which could then be used to (partially) back our currency and save the day. Is this scenario a possibility? Not to imply that the price of precious metals would not increase, but a US implosion may be avoided? Actually, I misread your comment. I thought you were referring to Treasuries, not PMs. To which I say, NO! 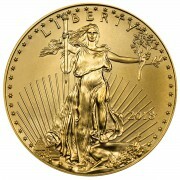 There is not a chance in h–l the U.S. government is buying gold. To keep this Ponzi scheme going, they have drained the vaults and naked shorted paper markets into oblivion. The U.S. will be the biggest loser when the game ends, that is for certain. I nominate Miley Cyrus. Posthumously I nominate, Stalin & Mao and speaking of ‘the end’ I think honorable mention goes to Jimmy Saville.